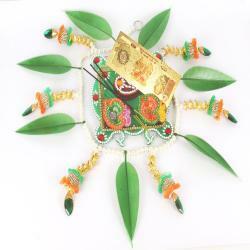 Product Consists : Toran of Artificial Flowers and drops on toran decorated with Moti and Flowers. 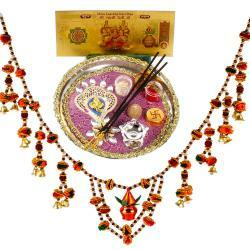 (length : 38 CM), Designer Pooja Thali, Incense Sticks, Roli Chawal, 2 Tealight Diya along with Gold Plated Laxmi Note. (IMP NOTE : Colour may be vary of product). Decorating the home for the New Year is an important part of Gudi Padwa celebration it is a complete traditional festival. 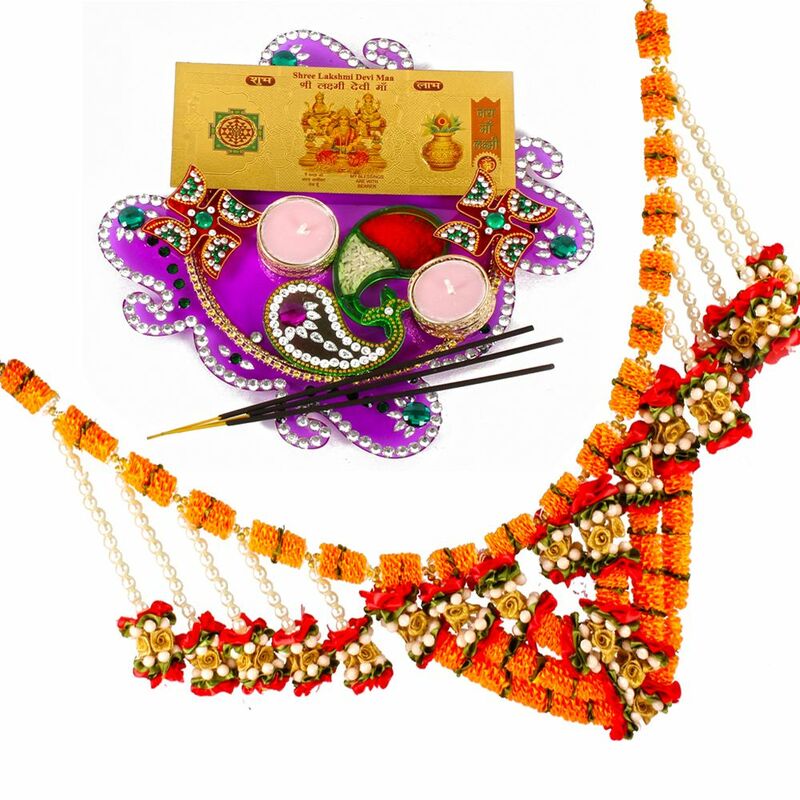 Sending this Gudi padwa hamper is an excellent idea for a last minute gift options. These enable your near and dear ones to decorate home perfectly for a New Year. Giftacrossindia helps you to find the best gifts for the ones who matter to you, it would be your great Gudi Padwa festival gift choice. The day has come to wish happiness and health to your loved ones with this products.Product Includes : Toran of Artificial Flowers and drops on toran decorated with Moti and Flowers. 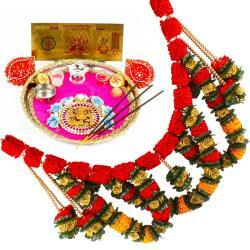 (length : 38 CM), Designer Pooja Thali, Incense Sticks, Roli Chawal, 2 Tealight Diya along with Gold Plated Laxmi Note. (IMP NOTE : Colour may be vary of product).